Fuelwood Design and Manufacture a range of Firewood, Kindling wood machines and bagging and handling machines. Fuelwood have over 20 years experience in the design and manufacture of Firewood and Kindling wood machines. With an unrivalled range and knowledge of Log and Kindling production to allow you to choose the Fuelwood machine that is right for your needs. Fuelwood's experience and reputation for quality products is known around the world, with dealers in many countries and customers buying directly. Fuelwood's machines are designed to optimise their size for crates and containers. Reducing shipping costs makes the machinery affordable around the world. 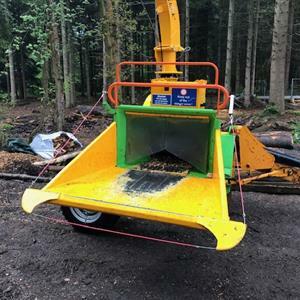 Founded in 1996 Fuelwood have established an enviable global reputation for their high quality and hugely effective range of machinery, all backed up by a superb friendly customer service.